The College Presidents’ Oversight Committee has approved a four team seeded playoff. It is WAY overdue. It is hard to understand why it took the ivy covered college presidents so long to realize their dream of squeezing more money out of the sport of football. 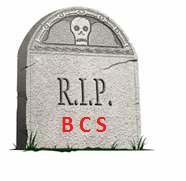 Any form of playoff would automatically generate a lot more money than the BcS ever did. While this plan is a major step forward, I still have a lot of questions. My first question is why did this take so long? We hear that the Bowl system had to be protected. Who among us did not shed a tear when the Poulan Weedeater Bowl went belly up? I have more to say about the Bowls later. But when a team must only win 6 games to qualify, how important can the bowl be? Then there was the argument that a playoff would negatively impact the student-athletes. But those same educators have no issues with the basketball players missing 3 weeks of school for the NCAA basketball championships. And those require teams to visit 3 different cities. Second it will not start until the 2014. WHY? Because none of the supporters of the BcS can admit it was a quick fix that lived far beyond its useful life, we are stuck with it for another couple of miserable seasons. Third, will Notre Dame leadership please excuse themselves from any discussion of college football playoffs. ND has not been a factor for years. It is not likely to be a factor any time soon despite hiring a really good head coach. They have their own deal with NBC. But other than an occasional game against a football power in which they are regularly crushed, their schedule includes a lot of games against the Sisters of the Perpetually Miserable. They have no business having a voice in this decision. Next, where is the money going? These are public universities supported in part by taxpayer money. We, the tax paying public, have a right to full disclosure on what is done with the money. The current bowl system is riddled with problems. Many schools that go to lower level bowls lose money. That is right they lose money. The bowls require a school to buy between 35 and 45% of the tickets. When the school’s fan base is less than thrilled to be going to the Podunk bowl in outer Nowhereville, the payout for the bowl falls short of covering the ticket cost, let alone the cost of taking the team and equipment, or the cost of housing and food. In addition there are reports of bowl executives being over paid and the charities that the bowl is supposed to support getting a small percentage of the total income. Every state has laws limiting the percentage they can take of money generated. Bowls are under no such restrictions. Perhaps the biggest question is how will the final four teams be selected? We are told it will be a combination of a computer system and a committee of “experts.” We will not know who will make those picks or how the computer system will rank the teams for a while. I have one piece of advice for the NCAA. Whatever system they design must be transparent. Make the votes of the committee public. Publish a clear account of the factors involved in the computer system and the weight assigned to each. That’s what I think. What do you think? Bill Smith is a former coach of several semi-pro teams, has officiated both football and basketball, done color on radio for college football and basketball and has scouted talent. Join Bill and his guests for some of the best Sports Talk anywhere on the Internet on News, Notes and Rumors Monday-Friday 6-7:30 PM EDT on https://fryingpansports.com/radio-show/ or http://mooheadradio.com/2.0/. You can be part of the show by calling our SportSims.net Hotline at 216-539-0607.
and a non-fiction work at http://www.merriam-press.com/. He edits .